MAY 3, 2018 - Our 3rd boat bus (Manati 1) was delivered! It was our goal to purchase two new boat buses in 2016, supplying 45 students from four communities with safe and reliable daily transportation to a regional high school and/or kindergarten. As this was a brand new project, we had to assess the scope of how many buses it would take to provide region-wide access to high school and kindergarten. We are starting with two with the intent to scale up as needed! In increasing the availability of safe travel to schools, we hope to lengthen the duration of every child’s formal education both before and after primary school. April 18, 2017 - Two boat buses were delivered to the village of Tamanco! Read more about this project. There are many reasons why traveling by boat bus is safer than dugout canoe. 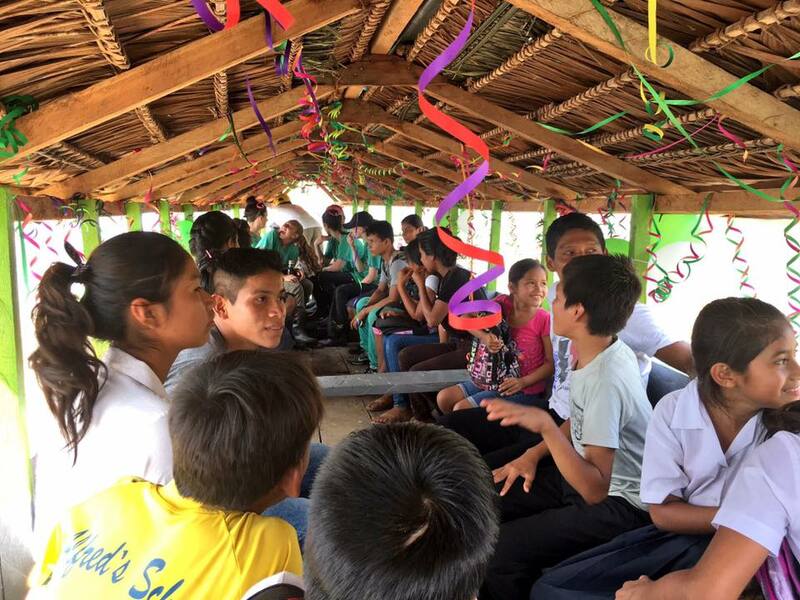 With roofs to protect students from daily downpours and a motor to combat the often-aggressive current of the river, combined with the reliability that a larger craft provides, a boat bus is truly the safest way to traverse the Amazon! We have worked with CONAPAC and the Detroit Zoo for years, supporting their Adopt-a-School program in order to provide funding and supplies for village schools in Peru. We are now collaborating with them to make both early education and high school accessible so that every child receives the full education they deserve.